Whether you’ve watched Alejandro González Iñárritu’s The Revenant, or just heard the great things that have been said about it (check out one of our very own reviews here), you might be wondering what this pre-Western 19th century tale of one man’s struggle against nature could possibly have to do with your own life. I thought the same thing, until I was told of a connection to the story right here in the heart of Yorkshire. As part of the promotion for the film, 20th Century Fox commissioned Leeds-based production company Mothership UK to create one of three short films as part of the ‘I Shouldn’t Be Alive’ series, each film focusing on stories of survival, instinct, perseverance, and beauty. 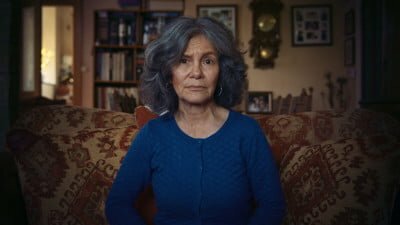 The short film that Mothership UK was chosen to create features Marina Chapman, a Colombian-born British woman – currently residing in Bradford – with an incredible story to tell. She speaks of her childhood growing up, not amongst humans but capuchin monkeys in the Columbian jungle, following her kidnapping from her home-town and village at the age of just four years old. A story like this has captured many, some denying its feasibility, others fascinated by Chapman’s resilience and strength. What is undeniable is that it is a fascinating tale, and one can see why it captured the attention of the likes of The National Geographic and broadcasters across the world back in 2013 when her story first came to prominence. It is also obvious why one might make a connection between her story and the fend for survival seen in The Revenant. This film about Marina Chapman and her early life was directed by Mothership UK’s founder and Creative Director Zsolt Sándor. The company was tasked with producing, directing, and providing all production services for the film, which was shot on location in Bradford in September 2015 and post-produced in Los Angeles. Zsolt is 38 and originally from Budapest, Hungary. He spent 15 years living and working in Canada before moving to Leeds in 2007. He has been working in feature films, television, broadcast commercials, corporate films, and content marketing for over 15 years. Today, we chat to Zsolt about his career, this project, and what drives him to do the work he does. Let’s start by getting to know you a little better, and talking about your background. Am I right in thinking you initially started off in theatre? Yeah actually, it’s interesting that you mention that! 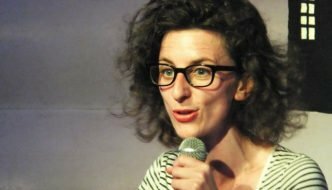 I’ve always loved theatre and music – I’ve played music all my life – and I actually went to university to study theatre, but it was during the years I spent there that I had the realisation that I did not want to be an actor at all! I still loved theatre though, and when I went travelling to Europe I got introduced to European cinema and thought that was a good amalgamation of everything I liked: theatre, photography, moving images and music all rolled into one. So based on that I applied to go to film school in Montréal…and to my surprise got accepted, so I went there and then went onto work in Hollywood North film industry, initially as an assistant. It was through that that I met everybody and learned a lot about every department. I was on set quite a bit as well so I got to know everyone, which was a really good insight to see how everything worked. 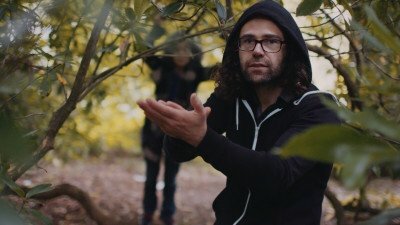 After about three years I moved back to British Columbia where I met the local film-making community via the work I was doing, and so I just started freelancing for several years. I got a job at a TV station making commercials, so I did that for a couple of years, and then moved here. I met a lovely lady out there and she was coming back here to work…so here I am! I travel a lot which is great, and I’m trying to get back into more creative things, like the Revenant film. I hope to take the company more towards doing that kind of thing, creating interesting and creative pieces of work – mini-documentary style things – where you’re really getting to know people. That’s what I enjoy. Wow… you’ve done everything! If you had to identify yourself as being one of the many things you do – director, editor, producer – which one would you say? I’m going to have to say filmmaker…haha…no if I had to choose one I think I would say directing, as you have a bit of an influence over everything. I like shooting a lot, and I do love the editing process, but not so much the technical part! I did that for years but I’ve realised that shooting and directing is more what I want to do. Tell us about the Marina Chapman film. How was it working with her? It was amazing. I had read a lot about her story already so I was really excited to work with her. A lot of the time you don’t have access to the people before you conduct an interview so it’s a lot more difficult, we were really lucky in that sense. And she’s amazing. She’s just a lovely lovely lady who’s obviously been through a lot! Her daughter and her husband are really nice as well, the first thing Vanessa – her daughter – emailed me was that her mum was desperate to cook for me! She was asking how many people were coming, if I had any dietary requirements…and she made us this amazing meal, it really felt like we were in a luxury resort! It must have felt great! How did you go about taking so much information about her story and condensing it? It must have been a collaborative process? Yeah it was, kind of. So the film was executively produced in LA and they had a pretty good idea of what they wanted, so they researched her story and gave us some examples of the kind of film they were looking to make. Now obviously this story all takes places in a jungle in Columbia, and there’s nothing here that’s even remotely related to that, so I was quite mindful of trying to steer her answers into things that we could feasibly cover, like cooking, the family, her garden etc. Before meeting her I did a lot of research into her story, and the first thing we did was the interview. I talked to her for about an hour and a half, and then we had lunch and spent the rest of the day in and around the house looking at old photographs and artefacts. Then we got some shots of her in a forest not far from her home…it’s so fascinating because the moment we went out there she would just jump on a tree and start climbing! But yeah, the prep took about a week and the filming was all done in one day. Post-production took quite a bit of time because it all had to be optimised for the big screen and online, but other than that it was quite a speedy process. The results are fantastic! You really get a sense of it being her story as well. Exactly, that was the approach we all wanted to take. The whole point of The Revenant really is that it takes you with that person and it’s their story, and that’s what we were trying to do with this as well…and I’m glad it worked! Her daughter Vanessa was very impressed, especially because there’s already been two documentaries made and books written about Marina’s story. Finally, there are obvious connections to The Revenant, but what do you personally think is the main link between the two? The story of survival, definitely. And the way it’s told in that it’s not necessarily the story itself but the emotions that are experienced, which I think both films do very well. To find out for yourself why not check out the film, which can be seen on Mothership UK’s website here.